Our customers put us on cloud 9. 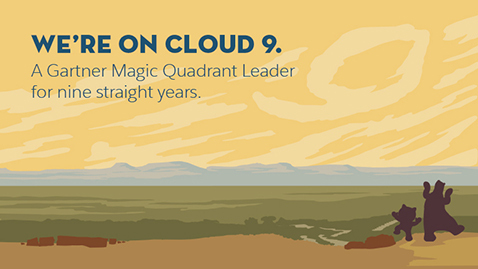 A Gartner Magic Quadrant Leader for nine straight years. See how we’re delivering on the vision of intelligent customer service. This year Gartner recognized that at the core of building the ideal customer engagement center will be an intelligent, connected system for CRM and case management. And, according to Gartner peer insights, our customers agree. Sign up once to access hundreds of resources. SSign up once to access hundreds of resources.